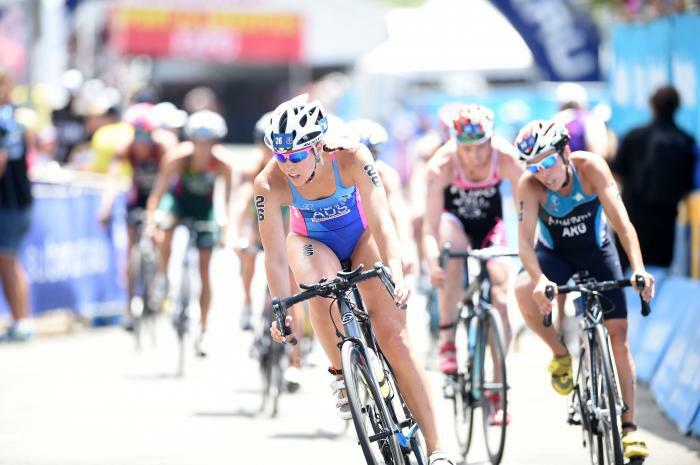 I first took up triathlon when I was 11, because I enjoyed the Weet-Bix Kids Triathlon. My family has a history of sport; my dad has been active in sailing and cross-country, and my mother in swimming and other athletics. The person who has had the most influence on my sporting career so far has been Warwick Dalziel. My favorite ITU race has been Hobart, because I enjoy the hills and it’s always a wetsuit swim. I currently train at Clem Jones Centre, in Carina, and during an average training week I swim 10 hours, bike five hours, and run for six hours. My personal best run time (10km) is 37:48. 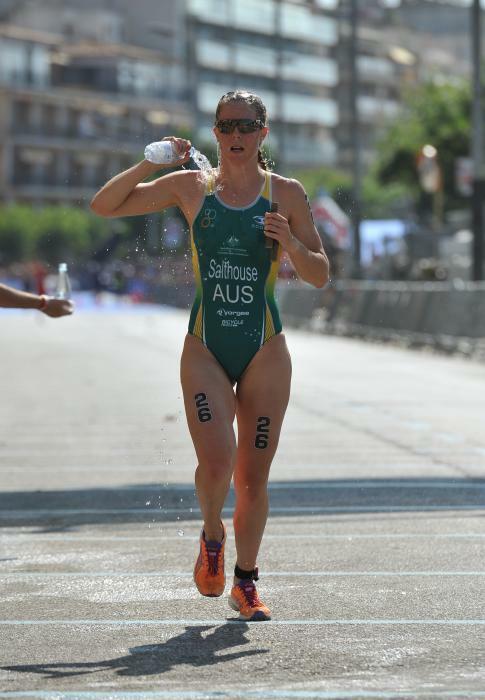 My triathlon goal is to compete for Australia at the Olympic Games. The biggest obstacle I have overcome is swimming! Outside of triathlon, I am proudest of maintaining good grades at school. My goals outside of triathlon are to get a good OP and study at University. In my spare time I enjoy cooking. The Australian duo of Ellie Salthouse and Michael Gosman finished on top of the podium at the Oceania Youth Olympic Qualifier in Canberra.